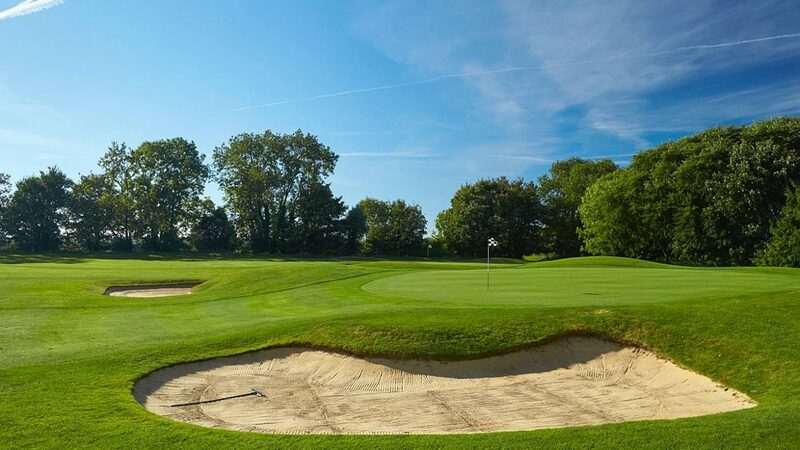 The Park Course at Goodwood was designed by the renowned golf architect and player, Donald Steel and winds effortlessly around the beautiful 18th Century parkland surrounding Goodwood House. The course, which meanders through woodland and tree-lined fairways to closely guarded greens, demands accuracy rather than brute force. But don’t be lulled into a false sense of security, the brilliant design means that you may just be caught out by one of the tricky doglegs scattered about this easy to walk parkland course. With excellent playing surfaces all year round, the easy-walking 6,650-yard course suits all levels of golfing ability, but still provides the challenge that today’s golfer prefers. The Park Course is located at The Goodwood Hotel, where guests can enjoy superb facilities including stylish locker and shower rooms and access to The Goodwood Bar & Grill, where registration and breakfast will take place, and the Lennox Room which is offered for your private dinner. To give your group golf day that true tournament feel, Golf At Goodwood offers a Personal Bag Drop Service, personalised branded and named lockers, ball pyramids for each guest, a unique Beat James Braid Challenge, On course branding opportunities, competitions including Nearest Pin and Longest Drive and Goodwood’s Unique Woody golf Buggies. Choose from a variety of group and society packages on The Park Course at Goodwood for up to 100 golfers, all of which can be tailored to meet your specific requirements. Once you are all golfed out, enjoy a delicious meal from menus which utilise organic ingredients from the Goodwood Estate. Packages available from £30pp. The Golf At Goodwood Academy The Golf Academy at The Park boasts both open and under cover Huxley driving range bays, a 6-hole par 3 Academy Course, putting and chipping green along with a SAM putting studio, private coaching rooms, a high performance studio and Trackman.